Michael Edward Dahlke was born July 3, 1928, in St. Joe, Wisconsin to Herman and Hazel (Goff) Dahlke. 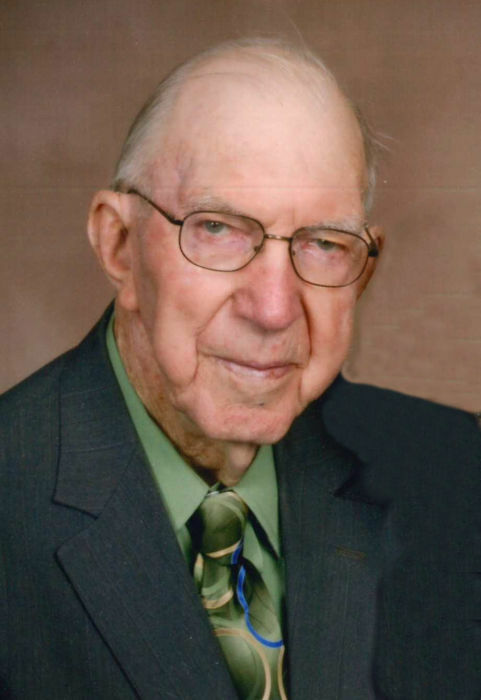 He was baptized and confirmed at Salem Lutheran Church in Stillwater and graduated from Stillwater High School in 1946. He worked for his father on a dairy farm until he enlisted in the US Army where he honorably served from March 20, 1952, until February 20, 1954. He was stationed in Fort Bliss, Texas and also in Worms, Germany, during the Korean War. On June 9, 1956, Michael was united in marriage to Irmgard O. Koernig in Stillwater. They farmed in Madison before buying their farm near Kandiyohi in 1961. Michael retired from farming in 1992 but continued to live on the farm. He was a member of Redeemer Lutheran Church, the Kandiyohi County Farm Bureau, American Legion and also the Litchfield VFW. He loved farming, animals, and especially his family. He and Irmgard would go everywhere together. He also enjoyed spending as much time as he could with his daughters, grandchildren and great-grandchildren who all had a special place in his heart. He and Irmgard enjoyed traveling all over the United States, they even traveled to Germany! He was a loving husband, father and grandfather. Michael is survived by his loving wife of over 62 years, Irmgard of Kandiyohi, daughters: Helga (Larry) Miller and Marilyn Worke of Willmar; grandchildren: Grant (and Cortney) Miller of Paynesville, Eric (and Laura) Worke of Albert Lea, and Ryan (fiancé, Carise Allen) of Rochester; three great-grandchildren: Grady Miller, Kiley Miller and Lexi Worke. He was preceded in death by his parents, brothers Gerald (and Beverly) and Lloyd Dahlke.